Ladies..if you are in the St. Louis or surrounding areas this is on event you won’t want to miss! 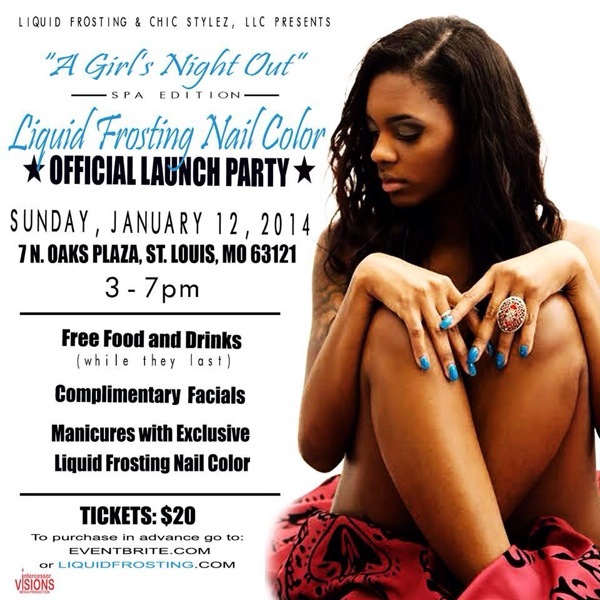 Join myself and Chic Stylez, LLC (one of St. Louis’ premiere fashion stylists) as we celebrate the official launch of Liquid Frosting Nail Color and the birthday of a very special lady. There will be free food and drinks, complimentary facials and manicures as well a sneak peek the exclusive Harlem Nights Collection of Liquid Frosting Nail Color. For more information of for tickets go to LiquidFrosting.com or click here to purchase from EventBrite.com. Hope to see you ladies soon!